Another game, another victory. Go club basketball! My thanks go out to those who came out to watch the game. I hope it was worth your time. For those interested, we have a big game this Thursday at 8 pm against Tyndale. It'll be a real gas, I promise, and it's free. And it's something besides writing papers, which is, in several ways, a good thing. Rhyming home with home.... genius. As her website says, her new album is filled with "a one-two punch of three-chord guitar licks" and "radio-ready chorus." Three whole chords?! That's, like, more than two. Which is better than blue. And comes with a shoe. Please enjoy the following. but then why shouldn't you? What a scruffy old bugger. 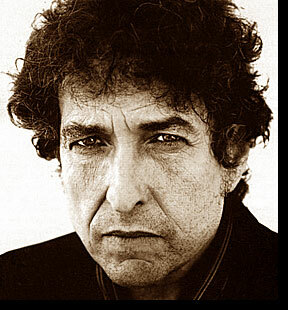 Rolling Stone magazine recently named "Like A Rolling Stone" by Bob Dylan the greatest rock song ever. Three cheers for the best songwriter of our time! The top album of all time... "Sgt. Pepper's Lonely Hearts Club Band" by the Beatles. No surprise there, really. The 60's dominated the list of the top 500 rocks songs of all time. The 90's pulled in a meagre 3, two of which came courtesy of Eminem. The 80's did even worse, with only the Clash's "London Calling" making the list, at #15. I guess we've been living in a musical wasteland. Bear in mind, "Warp Drive Metrics" is located in the bustling scientific hub of.. Las Vegas, does not have a website, and is not to be found in the Las Vegas phone directory. Must be top secret. My brother and his girlfriend came down this weekend, two people whom I haven't seen in quite a while. It was good times, although the "snacks" they brought along were just odd. Imagine my surprise when I bit into my walnut "muffin" and red bean paste oozed out. Now, I'm a huge fan of Toronto's oriental district, and in particular the food that comes out of it, but I think these should have been left wherever they came from. On another note, Macleans magazine recently came out with it's annual university rankings. A school very close to my heart, McMaster University, once again cracked the top 10, which pleased me a great deal. Maybe one day our very own Redeemer will find it's way on the list. Seriously. Give it 25 years and some rich alumni, and I wouldn't be surprised to see RUC getting some national recognition. What really struck me, though, was the full page ad that Tyndale Bible College had in the magazine. I don't imagine such ads come cheap... but is this something RUC should consider? I don't know, it just got me thinking, I suppose. How much do we really want the "outside world" to take notice of us? On... yet another note, my computer is once again stocked with music, courtesty of Joel Harsevoort. A little Ani DiFranco soothes the soul. Life is good. Quote of the week: "Hey man, wanna give me untold thousands?" Although they didn't write the lyrics, my thanks go out to the musicians of Thievery Corporation for drawing my attention to it. I have to do a review of an artwork for class. So, I have to go to a gallery, do some background research and all that, and then write about the artwork as if I knew what I was talking about. Y'know, aesthetic philosophy and all that other fun stuff. This wouldn't be such a problem, except that I can't for the life of me find meaning in paintings. I can appreciate them for their beauty, for looking nice, and for obviously requiring a lot of skill, but that's not really the point. So, what am I missing? Do I completely lack any scrap of creativity? I've made an effort to go to art shows, expand my horizons and all that, and at times I've considered that maybe everyone is just pretending. Maybe no one sees meaning in art. Maybe it's all just whatever you want to see. Am I wrong here? To be fair, I can't draw/paint/sculpt to save my life. My complete lack of ability in this area may be influencing my opinions here. On a side note, the NBA regular season is once again in full swing. Go Raptors! Someone should really come to a game with me. It's all sorts of fun. Three cheers for the RUC men's club basketball team. After gliding to a 104-45 win on Friday night, we scored another gutsy win on Saturday, 79-57. Sure, we're not the varsity team... but who cares? We actually win! My thanks go out to Dan Postma for bringing up an interesting issue. What role does the internet, and instant messengers/chat rooms play in our relationships? It seems that for many people, their preferred method of communication and conversation is MSN. I won't deny that it has it's uses, but it's so wretchedly impersonal. Granted, everyone knows someone that lives in the kingdom of Far, Far Away (princess Fiona, perhaps?) and instant messaging is cheaper than phoning and faster than emailing... but what about people we see nearly every day? It seems unfortunate that we automatically take the easier route, rather than the better route. On a completely unrelated note, I have no idea how to code, and all of my efforts at bending this blog to my will have been thwarted. Maybe I'm just bitter towards technology.